Gingin swept all before them in 2011 in the Mortlock Football League. They won the league and reserves grand finals. 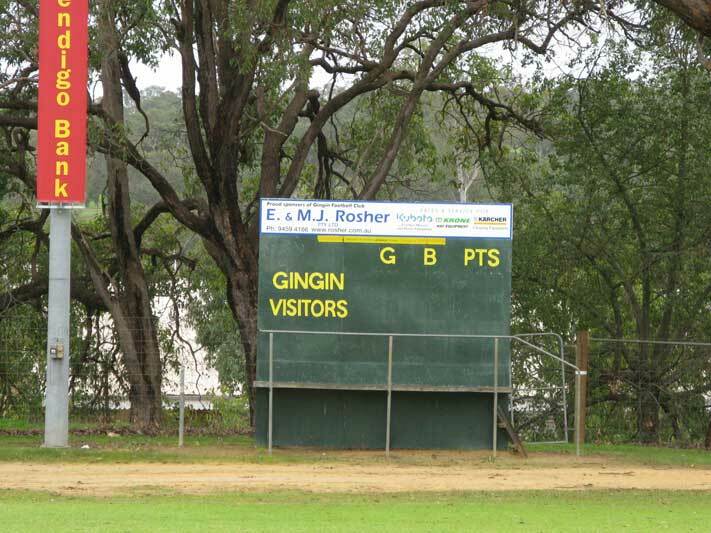 Gingin is a pretty little town 84km north of Perth, its most famous footballing product was former West Perth, West Coast and Fremantle player Brendan Fewster who was taken at three in the 1995 AFL draft. Sometimes he looked very good but his AFL career spluttered to an end after 70 games. Fewster was a member of West Perth’s premiership team in 1999 alongside Christian Kelly who played with Gingin in 2011. Other stars of Gingin’s 2011 premiership team were midfielder Rheece Bartel and forward Geoffery Rouse, who finished the season with 83 goals. A past star for Gingin was Mark Foxon, who went to the country town after playing 105 games for Swan Districts. He resisted offers to return to the WAFL, won Mortlock’s top honour the Boekeman Medal in 1977 and once kicked 19 goals in a game. Fearsome Swan Districts ruckman Ron Boucher also spent time at Gingin but he returned to Swans and featured in two premiership teams – 1982 and 1983. Gingin joined the Mortlock League in 1974 and won premierships in 1997 and 2002 – the 2011 flag was considered overdue. • Below. Brendan Fewster interviewed by Christi Malthouse while the Subiaco Oval scoreboard and a Dockers fan wait patiently.